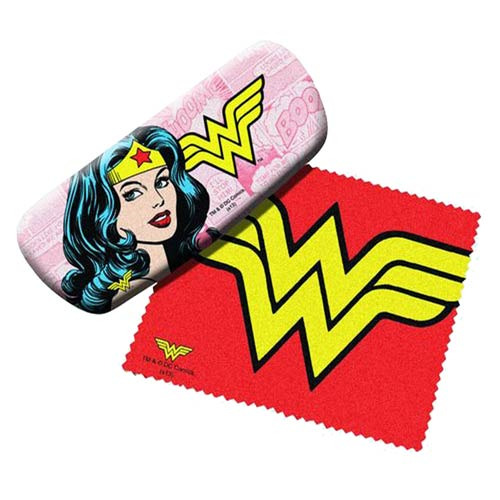 Keep those fancy frames debris-free with the Wonder Woman Eyeglasses Case with Cleaning Cloth! Not only do you get a carefully made protective case that features the superheroine from DC Comics with the Wonder Woman comic book logo, but the set also comes with 1 cleaner sheet, too. The red and yellow coloring on the cleaning cloth really pop!